Learning how to roll hand rolls was kind of a pain, or maybe I'm just a bit "slow". After some trial and error, I FINALLY figured it out and I would have to say the result is quite yummy! Warning: The measurements listed are kind of arbitrary as I don't really measure everything out, and it's all up to you and how creamy & spicy you want your tuna to be. First, cook your sushi rice. Make sure you wash the grains until the water runs clear, basically that means you're washing all the starch off of the grains, which helps it from sticking together later in the process. I cook my rice in my rice cooker with a 1:1 rice, water ratio. 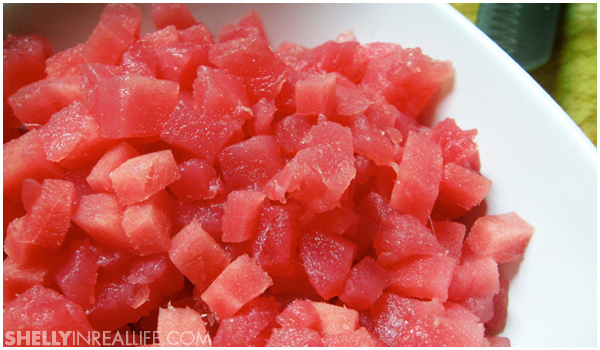 As your rice is cooking, start preparing your spicy tuna. I found that it is easier to dice your tuna when it's still partially frozen, so that you don't turn your tuna into mush. If your tuna is completely defrosted, then pop it in the freezer for 10+ minutes. 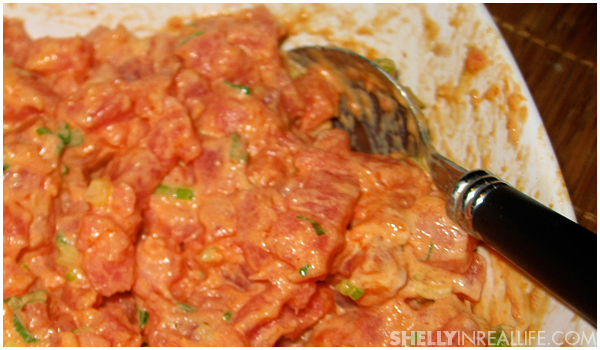 Now, add the kewpie mayo, sriracha, sesame oil, spring onion to the tuna. 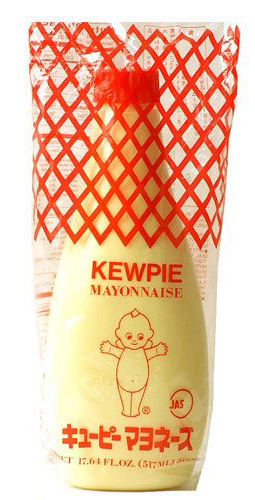 The kewpie mayo has a completely different flavor than regular mayo or miracle whip, so please don't substitute. If you have a taste of the kewpie, you will know what I am talking about. After you mix your ingredients, have a taste of the tuna, you can adjust the seasonings as you like, some might like it more creamy (add more mayo) or more spicy (add more sriracha). Now pop it in the fridge while you make your other preparations. 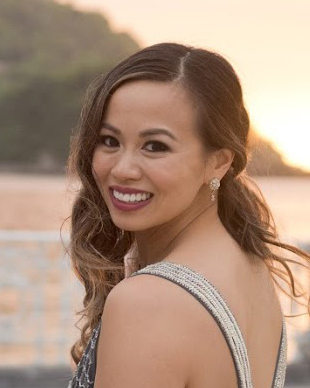 Wait until your rice is done cooking and let it cool down to room temperature. I like to cover my rice with a wet paper towel to prevent it from drying out. Once it is cooler, you can add the mirin to the rice. The mirin helps separate the rice into individual grains. You don't want your rice to be drenched, just lightly coated. Also, I don't add mirin to all the rice, I like to make it in batches, just in case I don't use it all, that way, I can still eat the sushi rice as regular rice later on. Final step - now that the rice and spicy tuna is prepared, it's time to fill, tuck and roll! For the longest time, I couldn't figure out how to make good looking hand rolls, which direction to roll, how to fill it up, etc etc. Now that I've finally figured it out, I hope these pictures will help you guys! 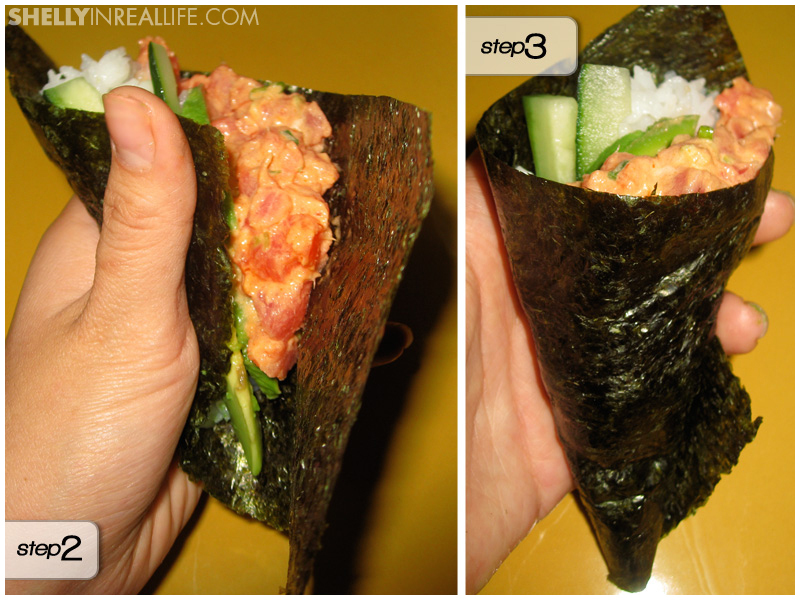 Cut your nori sheet in half, and start on the lower right corner by filling it up with a bit of rice. Just a little is enough as you don't want to overstuff your hand roll! Next, layer a few pieces of cucumbers and avocado. I find that cutting the avocado in quarters (the long way) helps in cutting prettier looking avocado pieces. Finally, spoon in the spicy tuna mixture. Notice in the picture above, I have an arrow for the direction in which you should fill your roll. 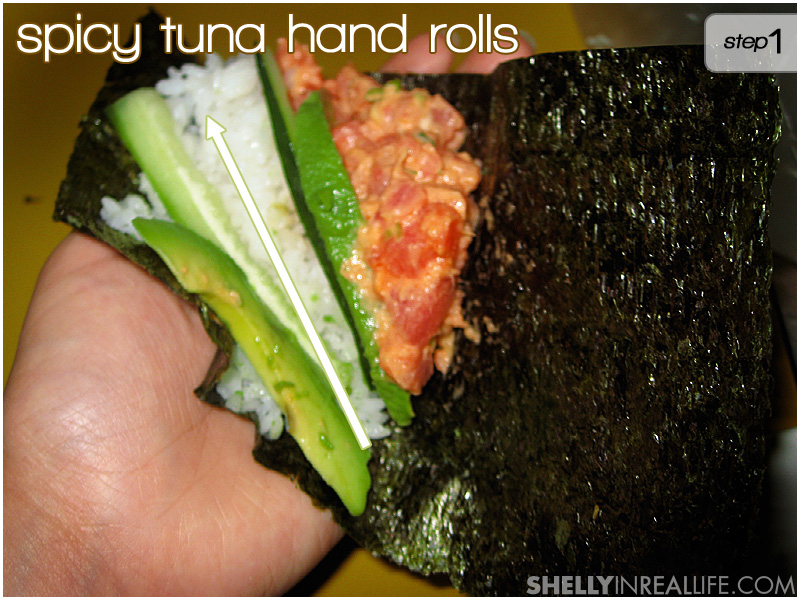 While I used to think that it was pretty intuitive in how a hand roll is rolled, I learned that it is not! Masago is optional - if you like to add that bit of crunch, you can, but I don't even taste it when I put it in so I choose not to. The key to making a "tight" roll is to use your thumb to tuck that corner of the seaweed into the roll, it really does help, so tuck that baby in! Finally, after tucking your sushi, just roll it and then help the last bit of seaweed stick to the roll by putting a grain of rice at the end. That will help you seal your roll together. Volia, you're done! Just repeat steps 1-3 until you finish all your tuna, or you can refrigerate and eat it again later. As a warning though, the sushi rice is probably not gonna keep as well as the spicy tuna mixture, so be careful of that! Serve with soy sauce and wasabi (Did I really need to write that?). We finished these rolls so fast that I didn't even get to take a picture of my finished product! I also made some Miso Soup to go along with these hand rolls, so I shall be posting up a simple & easy recipe for that real soon.